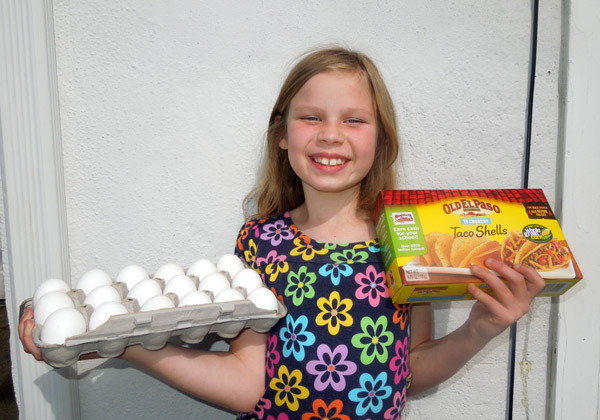 Which is More Fragile, Eggshells or Taco Shells? Taco shells are notoriously fragile. They break all the time. They break in the box. They break when you open the box, they break when you fill them with taco fixin's. They break when you set them down, they break when you pick them up. That's the reputation. Taco shells can't take the pressure, and this is a big problem. 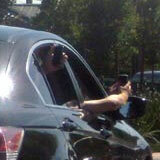 This is the reason no one manufactures cars in Mexico1. With a fresh set of eggs and tacos, we decided to conduct a series of tests to determine which is more fragile, taco shells or eggshells? When Americans say eggs, they are usually talking about chicken eggs. 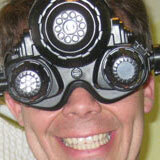 We buy them by the dozen, or perhaps by the 18, as shown above. The eggs come in styrofoam or paperboard cartons, giving little soft cups for each egg with a little space in between. The taco shells are held in a corogated plastic tray, then wrapped in plastic film and placed inside of a generously large box. 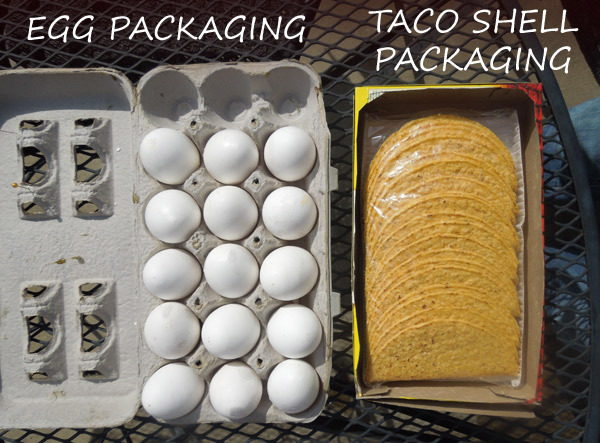 It is the taco shells, not the eggs, which are nested. 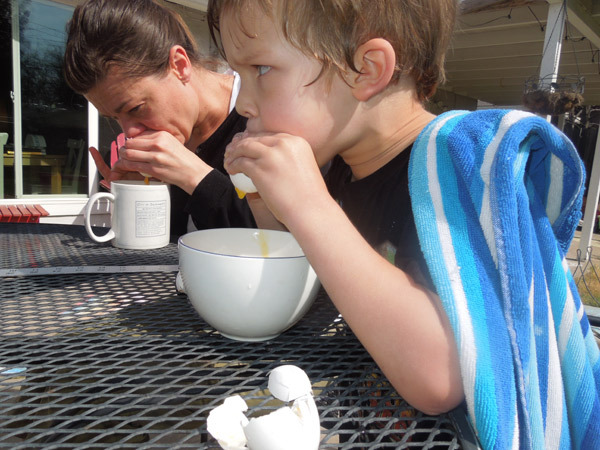 Because I wanted to test the egg SHELL, we decided to blow the eggs. That is a term for poking small holes into each end of the egg and blowing the egg whites and yolks out, leaving an empty shell. The eggs would be less strong this way, comparable to the empty taco shells. 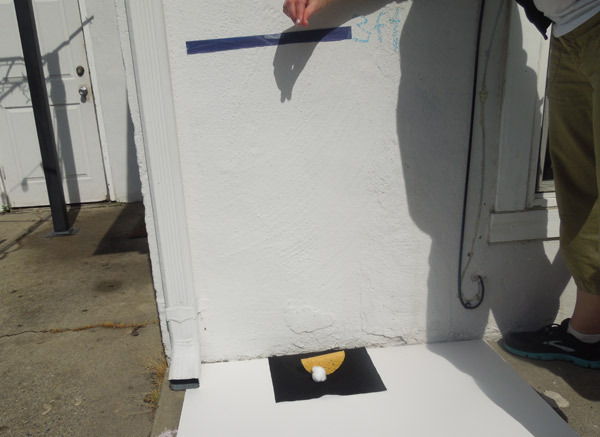 In order to test shell strength, we would drop balls onto the shells. 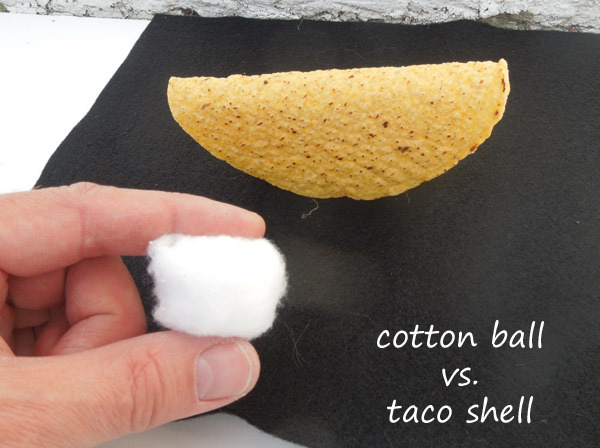 The first test was cotton ball against a taco shell. Here is a photo of the drop zone. 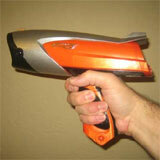 We would drop each ball from a height of three feet (about 1 meter) onto the target object below. 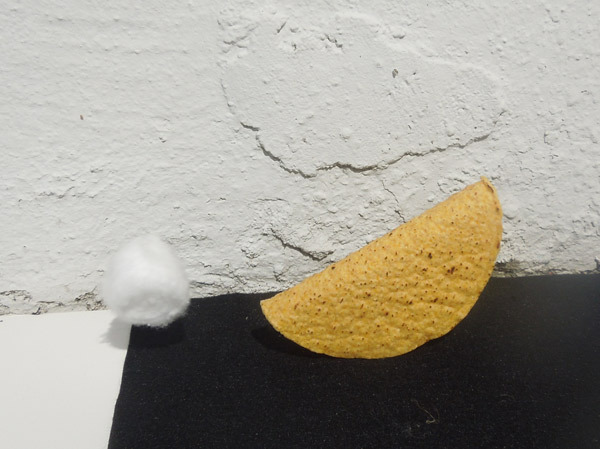 The cotton ball did not break the taco shell. 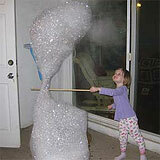 It bounced off harmlessly. 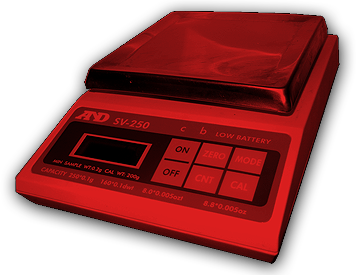 The second test would be slightly more challenging. 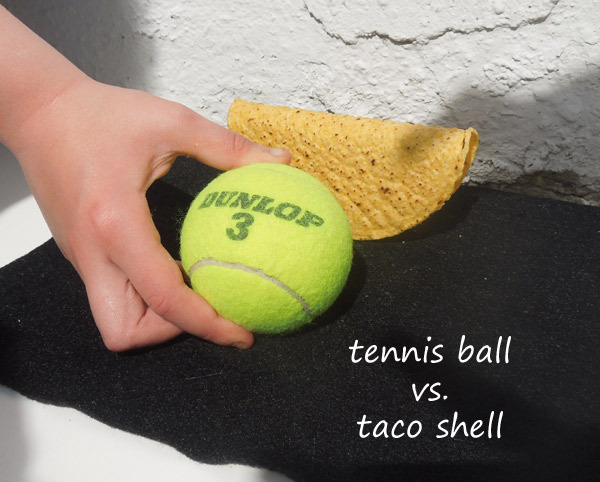 Ping pong ball against the taco shell. 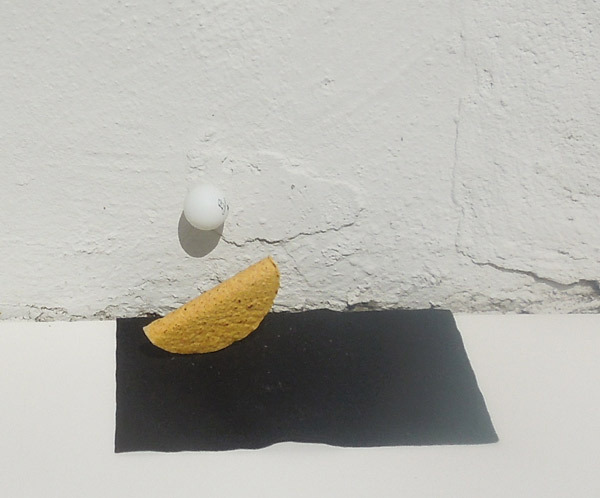 The ping pong, or table tennis ball struck the taco shell and bounced off of it. 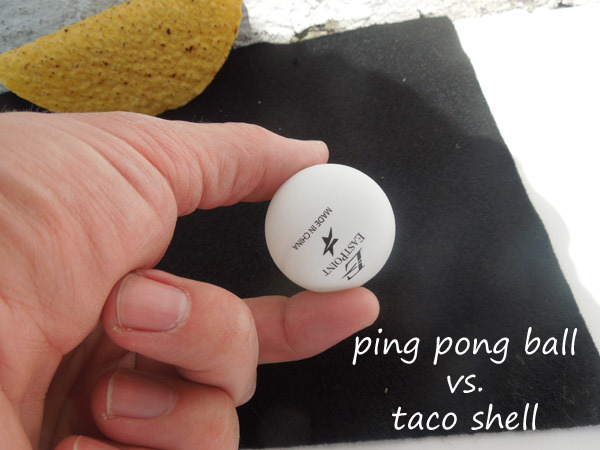 The taco shell wasn't damaged by ping pong balls. 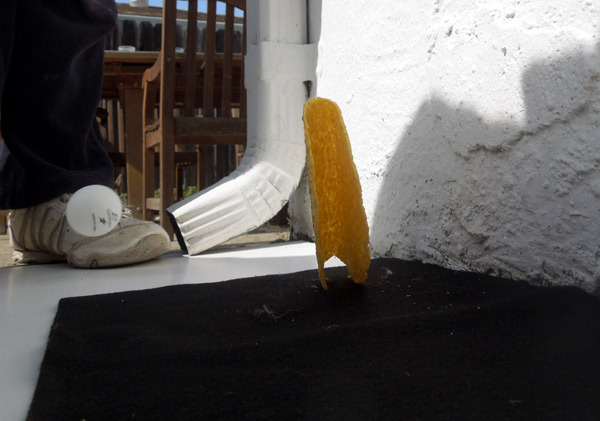 The next test was to see if tennis balls would crack the taco shell.